Tuesday, May 1, 2018, 6:30 p.m. – 8:30 p.m.
Join the pop-up discussion of Black Panther provides a unique and special opportunity for people of African descent in South Florida to reflect on some of the important messages that the movie represents. The movie has made a major cultural impact on African people all over the world. Learn more here. Wednesday, May 2, 2018, 12:00 p.m. – 2:00 p.m.
Come out to another Soul Time Management at Casa TropiSoul! Are you constantly fighting with the clock? Are you a creative entrepreneur that can't seem to get everything into your schedule? DISfunkshion Magazine's Editor-In-Chief and Casa TropiSoul's Co-founder, Hugette Montesinos will be giving a workshop on the top strategies for effective time-management, high-performance habits and organization for the cluttered mind. Learn more here. Wednesday, May 2, 2018, 2:00 p.m. – 5:00 p.m.
Join Fashion Happy Hour and The Miami Girl Society for a fun and productive afternoon of co-working. Whether you're a seasoned entrepreneur or a side-hustler trying to grow your business, this is the perfect opportunity to meet other cool women who can help propel your business to the next level. Learn more here. Thursday, May 3, 2018, 4:00 p.m. – 9:00 p.m.
Join Venture Cafe Miami #ThursdayGathering for Connect Miami and experience meaningful connection. Meet other influencers, change-makers, innovators, who are creating and changing our community for the better, and partake in sessions that challenge you and open your mind. Learn more here. 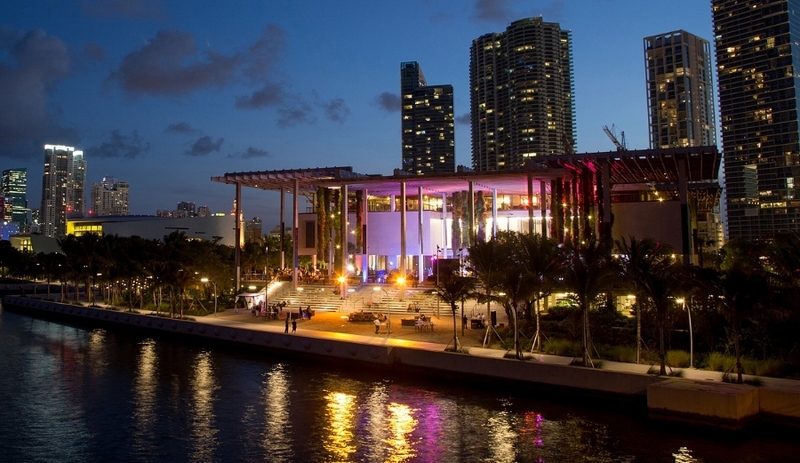 Thursday, MAY 3, 2018, 5:00 p.m. – 9:00 p.m.
As part of PAMM Free Community Night, join the Haitian Heritage Month celebration in collaboration with Maximillian Consultants Inc. Enjoy performances by Akoustik, The Nancy St Leger NSL Danse Ensemble, and Rara Lakay, a live set by DJ Whiskey Chick, craft demonstrations, and more. Inside the museum, be sure to check out our latest exhibition, The World’s Game: Fútbol and Contemporary Art. Learn more here. Friday, May 4, 2018, 6:00 p.m. – 8:00 p.m.
#MiamiWalks is part of a global walking movement known as Jane’s Walk, The neighborhood exploration of Little Havana will be led by Corinna Moebius, a local resident and co-author of the book, 'A History of Little Havana.' She’s been leading tours of Little Havana since 2006, when she served as director of the monthly Viernes Culturales festival. This walking tour will have highlights of the popular "arts district" or "heritage district" on Calle Ocho, and more. Learn more here. Lakou Lakay is an exhibit that explores the dimensions of Haitian culture. MUCE and the Friends of the North Miami Public Library welcome you to the opening reception Friday, May 4 at 6PM. Learn more here. Saturday, May 5, 2018, 10:00 a.m. – 6:00 p.m.
Come out to the Palm Beach VegFest at Huizenga Park in Fort Lauderdale, 10am-6pm, sponsored by VegNews Magazine and the newest and largest vegan supermarket, Vegan Fine Foods! Admission is free along with lawn games, live DJ, vegan food vendors, shopping, and more! Learn more here. Saturday, May 5, 2018, 4:00 p.m. – 9:00 p.m. Experience #AfroCode, a Hip Hop and AfroBeats. Join us for an experience of non-stop music, dancing, and good vibes. Learn more here. Saturday, May 5, 2018, 6:00 p.m. – 9:00 p.m.
Miami Book Fair is partnering with Sosyete Koukouy of Miami, Inc., to present the Little Haiti Book Festival on Saturday, May 5 and Sunday, May 6, 2018. The Festival will feature authors from Haiti and the Haitian diaspora, literary panels and craft talks, workshops for writers, musical performances and more. This event is free and open to the public. Learn more here.